The purposes of the Foundation is to perpetuate the memory of artist Grace Butler, encouraging artists or students of art with a proven ability in methods of painting, drawing, design, photography, film, 3-D work and/or other means of visual communication, and whose work gives attention to, and reveals a regard for, place and environment; natural and built. The award will be for a period of three (3) months to commence at a date to be agreed upon with the recipient on the year it is awarded. It is intended that the Award will be granted on a bi-annual basis. The amount of the Award is to be determined by the Trustees of the Grace Butler Memorial Foundation and is intended to be sufficient to enable the recipient to pursue his or her artistic endeavours. The Award for 2017 will be for $20,000 and a studio for three (3) months. The $20,000 will be paid in equal monthly installments in advance. The studio will be located at Ara in a designated area of the post-graduate School of Art and Design. The recipient of the Grace Butler Foundation Memorial Award at Ara will have access to the School’s resources, (printing facilities, etc and technician support). Access to the studio will be from 8am to 12am seven days a week with an access card provided. The recipient of the award will present a talk about their arts practice and work to staff, students and the general public which will be promoted by Ara School of Art and Design. At the conclusion of their residency the recipient is requested to present an artwork completed during the period of their residency to the permanent collection of Ara Institute of Canterbury for display in its campus buildings. At the conclusion of their residency one of the following public events/outcomes is also requested of the artist: A visual presentation, exhibition, publication and/or public arts project at a gallery or public space or format to be agreed upon. The time and place is to be negotiated between the Grace Butler Award Foundation and the artist, but to be within a timeframe of 12 months within the period from the end of the residency. The applicant must be a New Zealand citizen but shall not be required to have any formal qualification in art, although they must have proven ability. The applicant shall be expected to be a student who has attended or graduated from a reputable art college. Submissions must be supported with images of the applicant’s work within the previous 18 months. The work will be in the field of painting, illustration, printmaking, design, photography, film, 3-D work and/or other appropriate media. The recipient of the Award shall not be required to reside in any specific area but preference shall be given to residents of Canterbury or persons who are prepared to reside in Canterbury during the terms of the Award, or persons who otherwise have connections with Canterbury. Please note that the Foundation shall not be responsible for the provision of living accommodation. A sum of $20,000 to be paid to the Award recipient over the period of the residency. 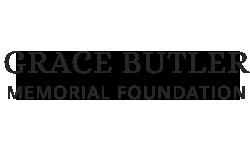 Administration support from the Grace Butler Memorial Foundation for the period of the residency. Three months residency at Ara School of Art and Design, 130 Madras Street, Christchurch in the post-graduate studios of the School of Art and Design. Access to the School of Art and Design’s resources, (printing facilities, etc and technician support). Access to the studio from 8am to 12am seven days a week. Original generation time 1.0306 seconds. Cache Loaded in: 0.0005 seconds.